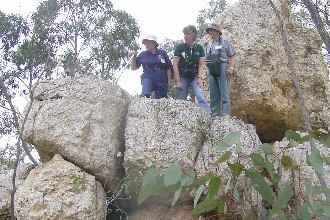 The outing was to the large quartz reef at Amherst. The reef is thought to be the largest in Victoria. The reef has a low gold content, and so was not mined for gold. A wildfire swept the reserve in 1985. The intense heat killed many of the lichens on the rock face. the age of these lichens would be 62 and 70 years. Red Ironbark and Brown Stringybark. 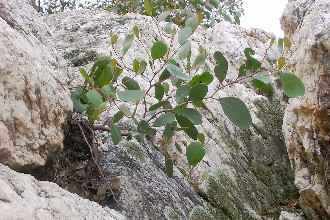 Small Brown Stringbark growing on the quartz reef. 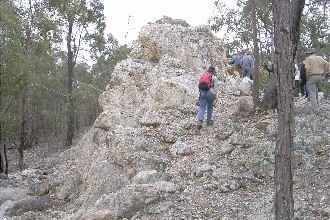 Part of the Quartz reef. 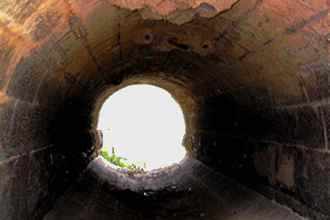 It is more resistant to erosion than the surrounding rock. SEANA members at the Amherst Reef. 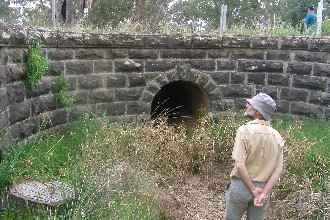 Swallows nests in the culvert. Photo: R Smallwood. 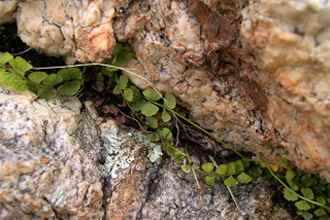 Necklance Fern in a crevice, Amherst Reef. Photo: R Smallwood.